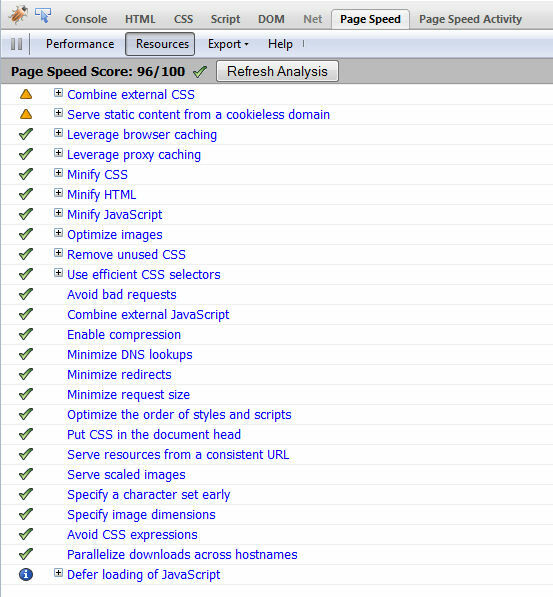 Download and install Google’s Page Speed tool for Firefox and run it to get an idea of what can be optimized. Or try Zoompf’s performance tester: http://zoompf.com. It returns a long list of issues including solutions. Chances are all speed testing tools will tell you to enable (gzip) compression if you haven’t already done so. This directive compresses all *.htm files. What it does is to check for the presence of "Accept-encoding: gzip" in the request header and returns a gzipped version of the requested file, otherwise it returns the regular (uncompressed) version. Replace your existing Google Analytics code with the new code and it won’t delay rendering of the page, meaning you can put it in a higher spot in your page’s code. So will other sites like Twitter and possibly google itself fall behind in rankings as well as other sites like facebook and myspace for loading and operating slowly? That change only effected less than 1% of websites. Google said this themselves afterwards. Yes, it’s true. 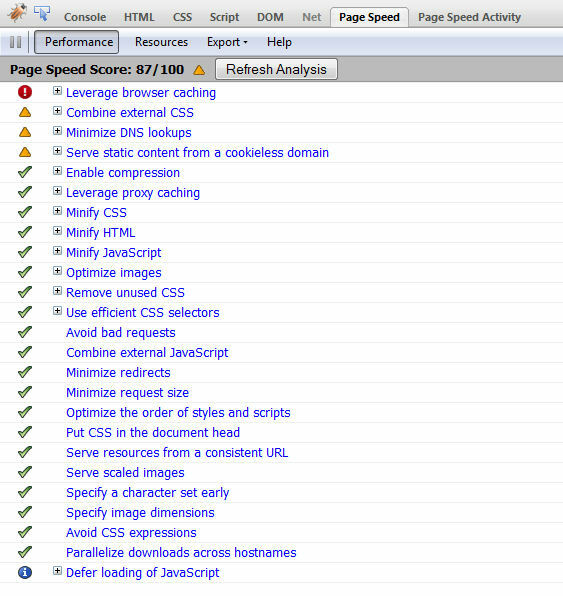 The site speed is scored by search engine. but I’m trying to find information about gzip and search engine , I’m not sure that the gzip may effects to the ranking. Gzip compression detection is part of Google’s Page Speed for Firebug as well as Yahoo!’s YSlow. So it’s fair to assume that these two take gzip compression into account; since they both state that the page loading time/server response time is part of the factors they use to determine a page’s status as it directly relates to the (overall) user experience.